Maple syrup . . . There is a flavor for everyone’s taste ! Golden for those who prefer a delicate taste, ideal to put on pancakes, yogurt and ice cream ; amber for those who want a richer taste ; or dark and very dark for those who want a robust and pronounced taste that lends itself perfectly to your dishes served in sauce. Thus, we have concocted for you, lovers of maple syrup, a shortlist of places to be discovered in order to taste maple products with family, friends or even on the go on Laurier Avenue West ! 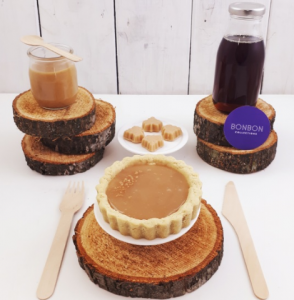 Founded in 2016 with the aim to provide 100% natural, vegan and allergen free products, Bonbon Collections offer several pastries and confectioneries, including a range of products based on maple syrup and crafted with love in their happiness kitchen factory ! Thus, they also offer 100% maple caramels, other individual maple cream pastries, 100% pure organic maple cotton candy and a range of organic small sweets to enjoy for a small budget ! 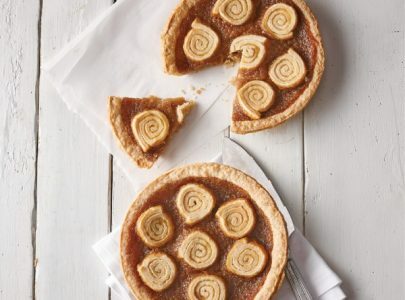 For the most greedy, real maple caramel cakes are also on sale. A pure delight ! Located in Montreal for more than 60 years, Au Pain Doré wants its customers to enjoy the quality of real French bread. 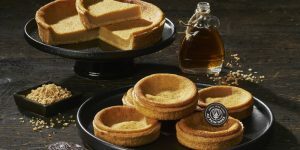 For the maple taffy season, the bakery offers you maple bread and various sweets such as mini maple Danishes ; biscuit topped cake with a divine maple syrup mousse that will satisfy your taste buds, as well as their traditional creamy maple tart, also available as tartlets for your little cravings ! Recently established on Laurier Avenue West, Première Moisson is one of the bakeries offering excellent maple products; from jam to classic small pastries, such as maple éclair and maple millefeuille, to maple cooked ham. 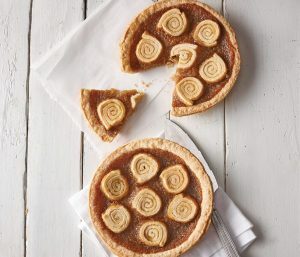 From sweet to salty, everything goes with maple products ! Though, their maple Pets-de-Sœur (sweet puff pastry pinwheels) remains a must-try! To be enjoyed with family or friends ! BONUS : If you want a total change of scenery with a little local and traditional touch, we hardly suggest you the pancakes at the Fiorellino Laurier restaurant, one of the best Italian restaurants in the city. Available in their brunch menu, served from 10 am to 3 pm on Saturdays and Sundays, the al Amaro Averna pancakes are delicious buttermilk and ricotta pancakes topped with maple syrup and amaro butter. Absolutely exquisite, to discover ! This is just a small glimpse of what this great commercial artery has to offer you ! 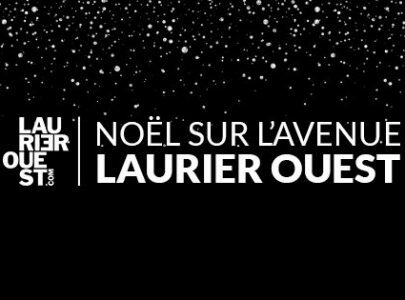 To find out more, we invite you to come and visit Laurier Avenue West. Merchants will be happy to meet each of your needs !